The National UFO ALERT Rating System has been updated October 1, 2012, with California, Texas, Arizona, Michigan, Ohio, Pennsylvania, New York, Florida, Illinois and North Carolina moving to a UFO Alert 3 as the highest reporting states during the month of September 2012, filed with the Mutual UFO Network (MUFON). California was the leading high-reporting state in September with 69 cases, down from 75 cases filed in August and 100 in July. 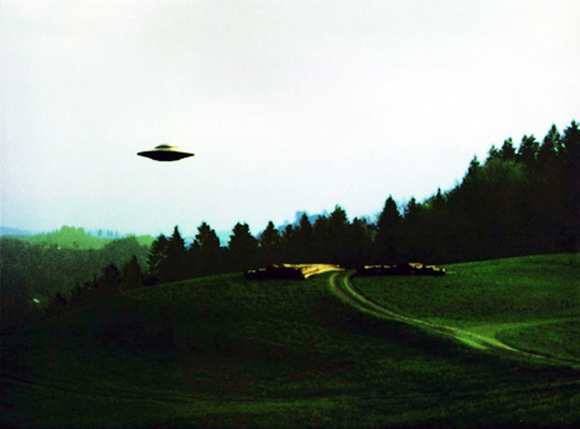 Those states in a UFO Alert 4 category with 13 or more reports include: Indiana, Oregon, Wisconsin, Georgia, Colorado and Missouri. All other states move to a UFO Alert 5 category with lower numbers of UFO activity. The Watch States – with 10 or more cases – are Maryland, Massachusetts, Minnesota, Washington, Oklahoma and New Jersey. MUFON released September statistics October 1, where the total number of reported UFO sightings is listed by state. The UFO Examiner uses these statistics to rate states. The entire country was moved back to the lowest alert level – UFO Alert 5. California takes the lead with 69 cases; Texas, 44; Arizona, 38; Michigan, 37; Ohio, 36; Pennsylvania, 32; New York, 31; Florida, 26; Illinois, 25; and North Carolina, 25 cases. Those states with 13 or more reports, the next reporting tier level, are a UFO Alert 4 status: Indiana, 24; Oregon, 21; Wisconsin, 16; Georgia, 15; Colorado, 15; and Missouri, 15. Our Watch States this month are – with 10 reports or more: Maryland, 12; Massachusetts, 12; Minnesota, 12; Washington, 11; Oklahoma, 10; and New Jersey, 10 cases. The sphere remains the most-reported UFO shape with 246 September reports; up from 238 August reports. Other shape reports include: Circle, 149; Star-like, 136; Oval, 91; Fireball, 87; Disc, 83; Triangle, 77; Unknown, 70; Other, 63; Cylinder, 38; Flash, 33; Square/Rectangle, 24; Cigar, 21; Egg, 20; Boomerang, 20; Diamond, 19; Cone, 14; Bullet/Missile, 13; Chevron, 11; Blimp, 10; Teardrop, 9; Saturn-like, 6; and .Cross, 5. The object’s distance from the witness includes: Less than 100 feet, 56 cases; 101 to 500 feet, 94 cases; 501 feet to one mile, 160 cases; over one mile, 237 cases; unknown, 250; and no value stated, 22.